In this episode, we look at robots in the medical field, in particular those used in teleoperated surgery. We first speak with Rainer Konietschke from the German Aerospace Centre about the latest prototype of their MiroSurge robot for robot-assisted endoscopic surgery. We then speak with Woung Youn Chung from the Yonsei University College of Medicine in Seoul, Korea, about his experience in operating patients with Thyroid cancer using the Da Vinci system. 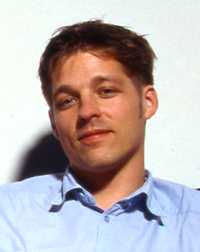 Rainer Konietschke is part of the team at the Institute of Robotics and Mechatronics of the German Aerospace Centre working on the MiroSurge project, whose goal is to design a new generation of surgery robot for minimally-invasive surgery. Current endoscopic surgery is difficult for surgeons because they must work with long slender instruments that provide little feedback, and have a limited view of the operating area through a single camera. Konietschke and his colleagues’ goal with the MiroSurge is to overcome these limitations through robotics. The MiroSurge robotic surgery system can provide a surgeon with 6 degrees of freedom inside a patient. 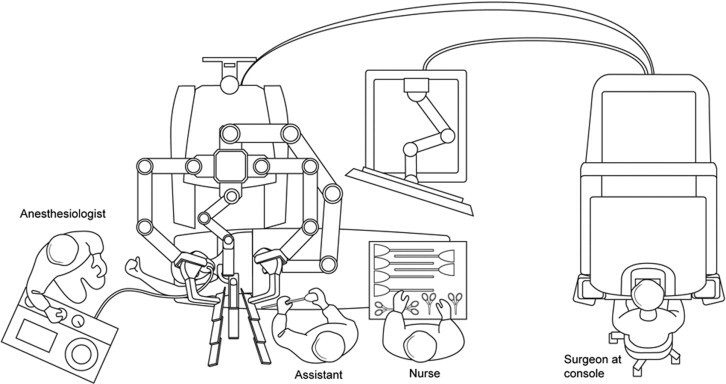 Two of the robotic arms feature force capture sensors, which provide force feedback to the surgeon, putting him back in contact with the tissue being manipulated. The third robotic arm features a pair of cameras that provide the surgeon with a 3-dimensional view of the interior of the operating area. Konietschke tells us about the ultimate ambition of the MiroSurge project, which is to have a robot that can track a beating heart and compensate for its motion, allowing a surgeon to operate on it without having to stop the heart! He then wraps up the interview by speaking about soft actuators that allow surgeons to move the robot arms around manually with as much effort as moving a feather. 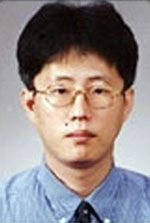 Woung Youn Chung is surgeon and Associate Professor at the Yonsei University College of Medicine in Seoul, Korea. His resent success published in the Journal of the American College of Surgeons has been to develop a robot-assisted method to treat hundreds of patients with thyroid cancer using the Da Vinci robot by Intuitive Surgical. The Da Vinci robot is actuated by arms that can perform precise and minimally invasive surgery and are teleoperated by a surgeon through a console with 3-D vision and joystick-like buttons and pedals. He’ll be telling us what the advantages, disadvantages and challenges are when using such medical robots and how technologies, such as those developed by Rainer Konietschke, can help in the field of surgery. As always, more information can be found in the Robots forums, this week including videos of the high-speed robot hands, ASIMO avoiding moving obstacles and the two micro-robots for handling nanotubes.